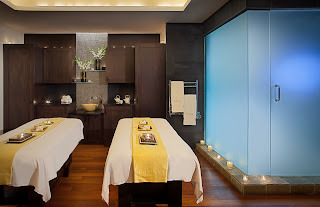 That's right, Greater Miami and the Beaches renowned for luxury spas that rank among the "Best Spas in America" and are beloved by spa connoisseurs around the world, will be celebrating their Seventh Annual Spa Month beginning in July and continue until the end of August. Well that's really two months isn't it? All the better for us as there should be specials galore and we, in Boca Raton, are only about an hour away. I'm thinking "Staycation"... less than an hour from here, and you can spend the day or days at the spa or check in for a long week-end and still show up at work on Monday morning with a glow on your face and have your coworkers wondering why you feel so energetic when it's usually (as the song says) "Just Another Manic Monday". Here's a great opportunity to discover the healing powers of salt, seaweed and hydrotherapy with organic and nature-inspired treatments. Go ahead, indulge yourself and enjoy the varied available specials. Here's a list of premier spa locations in the Miami area for you, drawn from our Signature Travel Network's highly recommended spas. Wow! So many great places from which to choose, but helping you choose is what we do. There's no shortage of spa specialists here at Reid Travel. Give us a call and start relaxing right away! We're Traveling - and Would Love to Have you Join Us! At Reid Travel we Pride ourselves on the first-hand knowledge we have on places to go and things to see. So our agents are always traveling and gleaning tidbits about wherever they go. On most of their trips they act as hosts and hostesses for travelers using the Signature Travel Network, making themselves available to their fellow travelers and sharing the considerable information and resources at their disposal. In this post, we'd like to share some of our current and future goings-on with you in the hope that you will see something to your liking and make arrangements to come aboard and join us on one of these great trips. Starting in the present (you might consider going next year), Julia Shore is having a cool summer adventure aboard Silversea's Silver Explorer, experiencing the Arctic with a first-hand look by ship and zodiac. She'll have plenty to share when she returns (look for it here!). And Trish Timmerman is cruising from Southampton to Copenhagen on the Seven Seas Voyager. 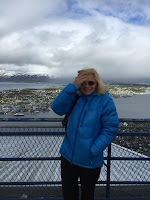 Look for her observations about the Northern Lights and White Nights in the Baltic when she returns. Helene Golden journeys back to one of her favorite areas, the island-dotted Aegean, on September 28th, 2015 aboard Silversea's Silver Spirit roundtrip Istanbul. so come and join us onboard one (or more!) of our trips and share in the experience. Here's an invitation tailored precisely to your children's winter school holiday - they'll not miss a single day of school and will experience an incomparable family adventure. From beginning to end a Micato Safari is a family affair; one your family will never forget. Wouldn't you like to be with your children that first day back at school when they are asked the age-old question: "What did you do over winter break?" and they have so many stories that they don't know where to begin? They'll have to choose from their unforgettable visit to Tanzania's Serengeti National Park, the Ngorongoro Crater, Kenya's Maasai Mara, and a private visit to the Amboseli Trust for Elephants (with renowned researcher Cynthia Moss explaining how she tracks and cares for these magnificent creatures). The Little Five (rhinoceros beetle, buffalo weaver, leopard tortoise, ant lion and the shy elephant shrew (which weighs not much more than an elephant's tear). Not only will your child benefit, but for every safari booked, Micato, through its One for One Program, will send an African child to school. You will have helped change their life while enriching your own. but leave in love with the people! 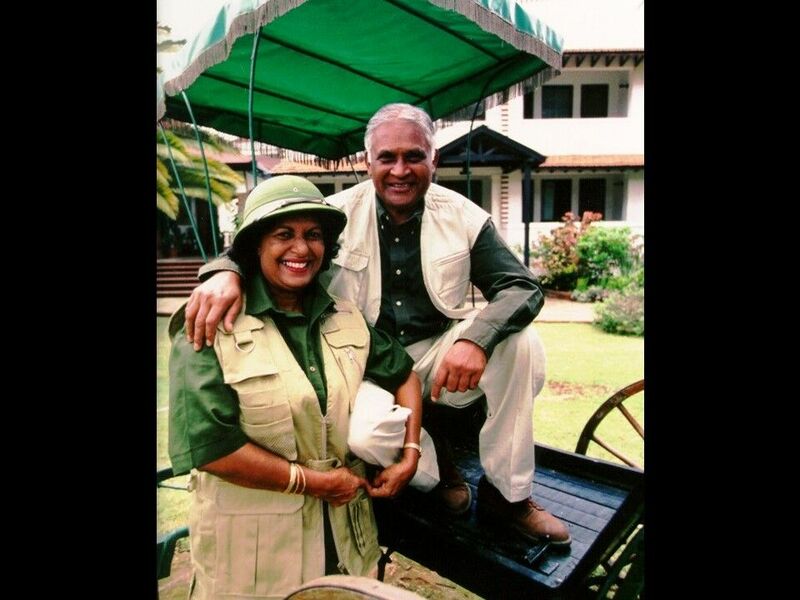 So RSVP with Reid Travel to personalize your family's safari and join the Pinto family at home in Africa. Entering the U.S.? There's an app for that! 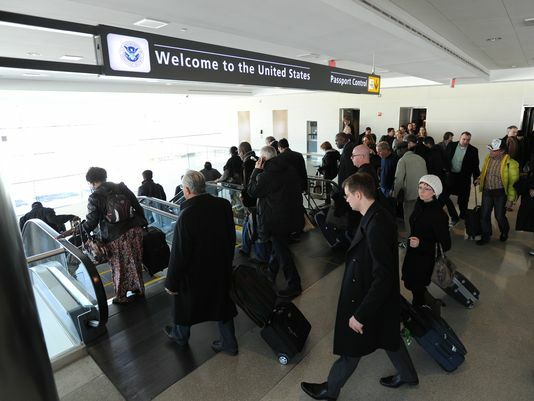 U.S. Customs has just launched a FREE App called "Mobile Passport Control" to help make getting home from our world-wide travels just a bit easier. Put this App on your smartphone and you'll be able to take advantage of fast lanes reserved for Mobile Passport users. The app can be used by U.S. citizens and Canadian visitors (on B1 or B2 visas). Even better, the App lets you add the passport information of all family members traveling with you. Download the Mobile Passport Control App from the Apple App Store or Google Play Store. Open the App and enter your passport information as it appears on your valid, official passport. You can add the passports for your entire family. The information will be encrypted and shared only with Customs. Answer Customs' four brief questions about your trip. Carefully review ALL of your information. Answers can be saved up to 24 hours ahead of your arrival. AFTER YOU LAND, connect to wireless or wi-fi and use the App to submit your data to Customs. When you submit, you are confirming under penalty of law that your information is correct. Within a few seconds you will receive an electronic receipt with a Quick Response (QR) code which will be valid for FOUR HOURS. Once you have your QR Code, follow the signs for MOBILE PASSPORT CONTROL. Present your passport, show the QR code, and continue on your way. MOBILE PASSPORT IS NOT A REPLACEMENT FOR YOUR PASSPORT.